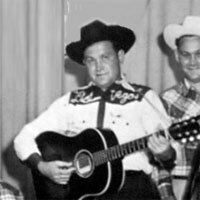 Chanteur Country US né Robert Ernest Money le 20 Mars 1925 à Halesburg (Alabama). 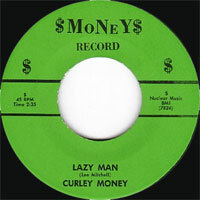 Curley Money s'installe en 1950 à Colombus (Georgie) et forme le groupe des Rolling Ramblers avec qui il enregistra sur ses labels Rambler et Money Records de Columbus (Ohio). Il est décédé le 23 Décembre 2003 à Columbus (Georgie). Poverty and the life of a sharecropper combined with some serious talent to drive Curley Money into music — but the same need to make a secure living probably kept him busy with too many ventures ever to achieve the stardom he could have had, either as a country musician or a rock & roller. Born earlier than most people in the latter field, he was out there playing country fiddle in the early '40s, and he came to the new sound naturally enough in the middle of the following decade. Born Robert Earnest Money in Haleburg, AL in 1925, he was the youngest of eight children in a sharecropper's family. Money was naturally inclined toward music, and learned to play the fiddle early in life, followed by the guitar — he soon found music not only a pleasure but a way of making some much-needed income on the side, and in his teens he was playing locally at barn dances. Share-cropping was a hard life at the best of times, and in 1942, at age 17, Money headed to Columbus, GA, hoping to get work in the city's cotton mills. He also decided to try for a full-time career in music, and put together a group called the Rhythm Ramblers, who eventually got a contract with WGBA, a local radio station, and later made the jump to television. 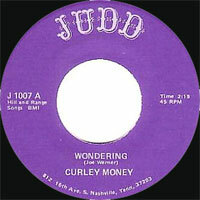 Curley Money's ambition ran beyond simply recording, however — he founded his own record label, Rambler Records, in 1956, releasing his own work on it commencing with "Playing the Game" b/w "Why Must I Cry." He followed this up with "Stop Your Knockin'" b/w "Tenderly I Love You" and scored a number three hit in 1957 with the single "Gonna Rock," but was forced to change the name of the label to Money Records, owing to a conflict over ownership of the original trademark. One of the artists he had signed in 1957 was Lee Mitchell, whom Money was apparently pushing with Sam Phillips at Sun, when he brought him to Memphis, sometime in the year after. He left behind a recording of his own, "Chain Gang Charlie," that didn't get heard by anyone until over three decades later, when it was found in the Sun vaults, but showed Curley Money doing perfectly respectable, even pretty hot rockabilly for a guy who was past 30 at a time when this music was still new. Money's forays into rock & roll didn't last, though his label did, into 1965, with 42 releases to its credit before he closed it down that year. He subsequently recorded for Gold Standard and other labels in Nashville through the '70s, though by that time he was also managing clubs and also long-established as a radio announcer in Columbus, GA. With all of those on-going activities, he never had a chance to make the kind of concerted push, in either country music or rock & roll, to lasting stardom, but in 1979 the Bison Bop label collected a dozen of his sides for an LP that showed what considerable talent he had. He kept playing occasional gigs, and in later years, also organized a band at a senior center, where he entertained friends. 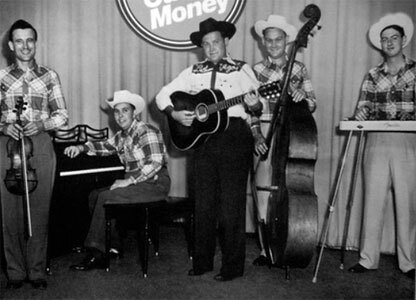 In 2003, Money was inducted into the Rockabilly Hall of Fame. He passed away later that year, at the age of 78.